Superman Exercise is a popular back rehabilitation exercise. This Superman exercise video includes techniques to help you strengthen your back and perform safe back exercises, plus some great variations on Superman exercise to suit all levels of fitness. Prone Superman exercise is a great position to start out. It has the advantage of taking pressure of the knees and pelvis, making it a useful starting position with sore knees, hips or poor pelvic stability. It is also helpful for individuals with poor spinal muscle control when starting out. Prone Superman exercise for beginners is shown at top of this page. Lying prone on a firm surface with feet flat, elbows bent and forehead resting on your hands. Comfort tip: place a cushion or pillow beneath your pelvis to reduce the pressure on your lower back during this exercise. Start with a single leg backward leg raise – this can be a helpful exercise in the case of shoulder pain where it is difficult to raise the arms in front of the body. Keep your leg straight as you slowly raise one leg backwards off the ground so that your toes just lift off the ground – avoid lifting your leg too high as this will hyperextend your lower back. Lower your leg back to the ground. Repeat this action with the other leg and continue alternating this exercise. Extend your arms on the ground in front of your body keeping your forehead down in contact with the ground. Raise one arm and the opposite leg simultaneously so they both just lift off the ground surface, hold briefly and lower both limbs back to the ground, repeating up to 10 times in succession. Repeat this action using the other arm and leg. Kneeling Superman exercise is a useful and more challenging back strength and stability exercise that provides progression from the prone position. Kneeling position requires more pelvic and spinal control than prone position, and also increases the demand on the shoulder muscles to help stabilise the position. Kneeling on all fours, knees under hips and hands placed beneath shoulders. Comfort tip: If your knees are sore, try kneeling on a cushion. If your wrists are sore, support them by resting your hands on the bar of a pair of dumbbells. Maintain a small inwards curve in your lower back throughout this exercise and keep both hips facing the ground. Extend your right leg out behind your body, kneeling on the left leg. Slowly raise your right heel up to buttock height keeping your right toe pointed to the ground throughout. Lower your toe back to the ground and repeat up to 10 times. Repeat this exercise with the left leg. Extend your left arm in front of your body at the same time as your right leg both touching the ground. Slowly raise your opposite arm and leg simultaneously to trunk height (no higher). Lower both limbs back to touch the ground before repeating up to 10 times in succession. Increase the number of alternate arm and leg raises within your range of comfort – avoid doing too many repetitions especially when first starting out, start with a couple of exercises and progress gradually over time. Increase the duration you hold your limbs above the ground. Use an exercise ball to perform Superman Exercises with the exercise ball under the abdomen. Keep your chin tucked throughout. Breathe normally and avoid holding your breath. Keep your elbows slightly flexed when performing kneeling Superman exercises. Avoid hyperextending your back by raising your lifting leg too high. If you have pelvic instability commence lying prone rather than kneeling. Superman exercise is a great back exercise to perform to keep your back strong. Superman should always feel comfortable and pain free – cease any exercise that causes you discomfort and consult with a health professional should discomfort persist. 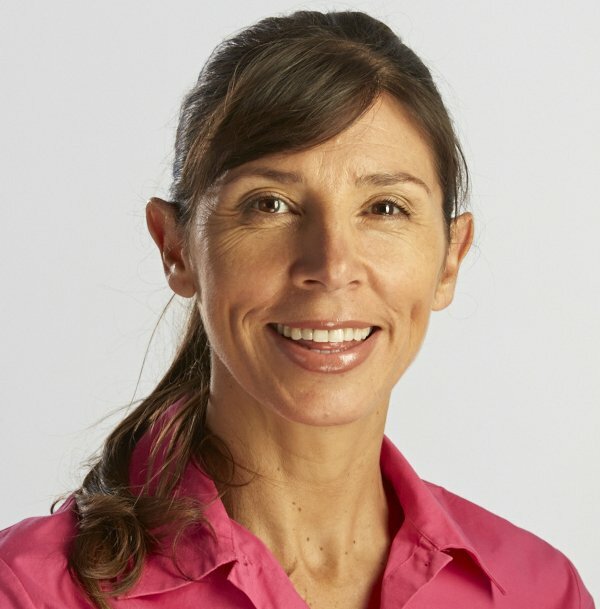 Michelle Kenway is a Pelvic Floor Physiotherapist and author of Inside Out – the Essential Women’s Guide to Pelvic Support. 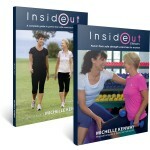 The Inside Out exercise DVD and book show women how to exercise effectively with pelvic floor safe exercises. I just came across your site and after months and months of frustration and worry and sadness that my life is over because of this prolapse and rectocele I’m hopeful for the first time in ages. I am just about ready to give in and go see my dr. about getting referred for surgery . . . as I absolutely cannot stand the pain and discomfort any more. I have so been trying to stay away from surgery but am curious wanting to know if exercise geared to the pelvic floor can reverse a rectocele or prolapse or am I doomed to live with this for the rest of my life. Surgery scares me because they are not always successful and I could come out with worse symptoms than i went in with. If there is a chance I could reverse this . . .I was told a year ago or two that the rectocele was mild but I think they sypmptoms are getting worse . . and I don’t know what to with this. Are there specific exercises I could do that would help reverse the rectocele? Thank you Michele . . I’ m so glad I found you today. Thanks for sharing your experience and for your question. Yes the prospect of surgery is daunting and it makes sense to do everything possible to manage conservatively where possible and if surgery is required, to ensure success long-term. * Management of conditions that can impact on the pelvic floor (e.g. chest complaints, allergy etc). No exercise can reverse a rectocoele however pelvic floor exercises have been shown in the research to improve prolapse support and reduce symptoms. These exercises are also very important after prolapse surgery for long-term pelvic floor support. If you’re able to access treatment from a pelvic floor physiotherapist Donna this may help to empower you to manage your prolapse long-term. Hi, I’ve actually been given this exercise (as part of my physio exercises, but unfortunately I’ve injured my hand to the point where I can’t go on all fours and put weight on it. Is there another exercise which works the same part of my back without been on all fours? Yes Lucy the same exercise can be performed prone lying face down – contract abs gently and perform alternate arm/leg raise, this takes the weight off the wrist.